WPUNJ faculty and staff can create a WPSphere account with their WPUNJ login and password. 1. In the upper right corner of the homepage, click the Sign on to: button. 2. From the drop-down menu, click on My WPSphere. 3. From the Choose a Login Method screen, click on Enter WPUNJ Netid and Password. 4. On the Log In to WPSphere screen, enter your WPUNJ username (without @wpunj.edu) and password. Then, click the Log In button. After this step, the WPsphere administrator will receive an automated notification that you have registered with the system. The administrator will add you as a submitter to the appropriate collection(s) and contact you directly about this. You can log out of your WPSphere account. WPUNJ students must create a WPSphere account without their WPUNJ account and password. 1. In the upper right corner of the home page, click on the Sign on to: button. 3. From the Choose a Login Method screen, click on Enter WPSphere Username and Password. 3. From the Login In to WPSphere screen, click New user? Click here to register. 5. You will receive an automated e-mail from repository-noreply@wpunj.edu to confirm your registration. From your WPUNJ e-mail account, access this e-mail and click the link to complete your registration. 6. From the Registration Information screen, enter the appropriate information by the text boxes for First Name* and Last Name*. Select a password and enter in the text boxes by Password and Again to Confirm. 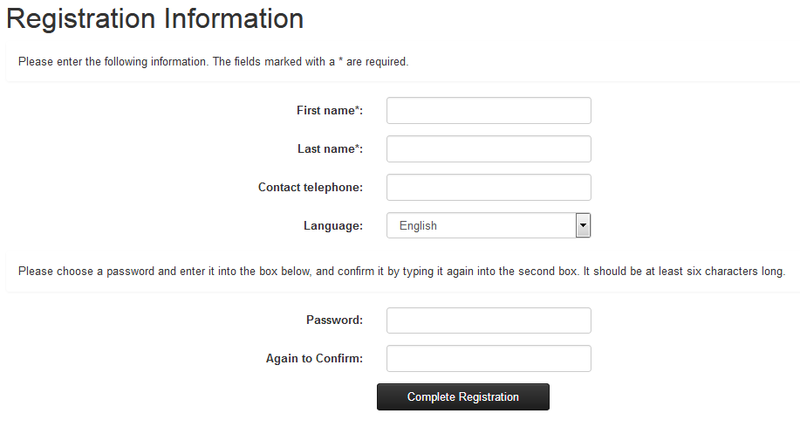 Then, click the Complete Registration button. After your registration is complete, a repository administrator will assign the collections that you may submit works to. If you have any technical difficulties, please e-mail repositoryhelp@wpunj.edu.